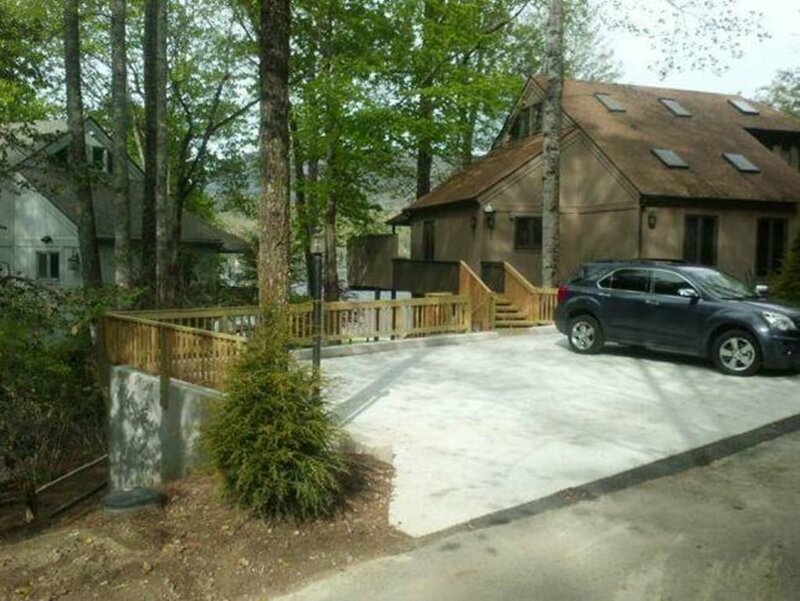 Welcome to our Lake Toxaway Lakefront Mountain Retreat. 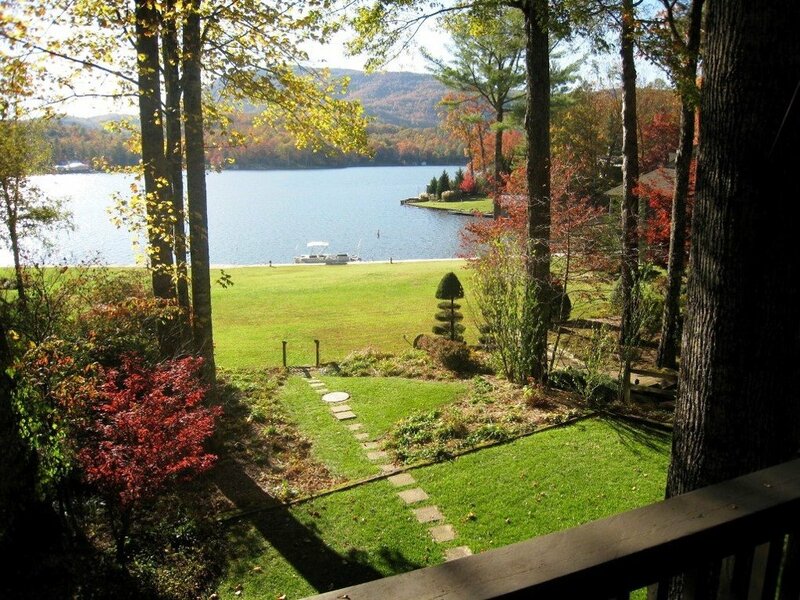 This contemporary lakefront house located in Western North Carolina’s mountains. 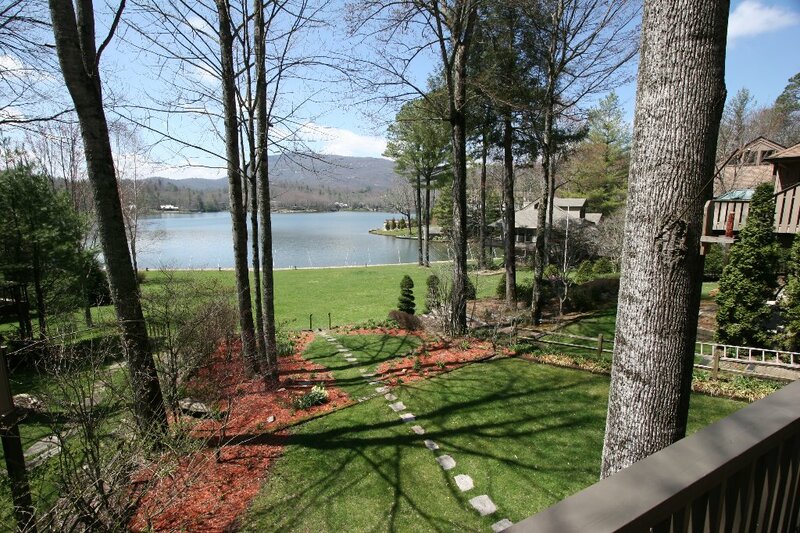 The lake house offers unbelievable beauty and views of Lake Toxaway. 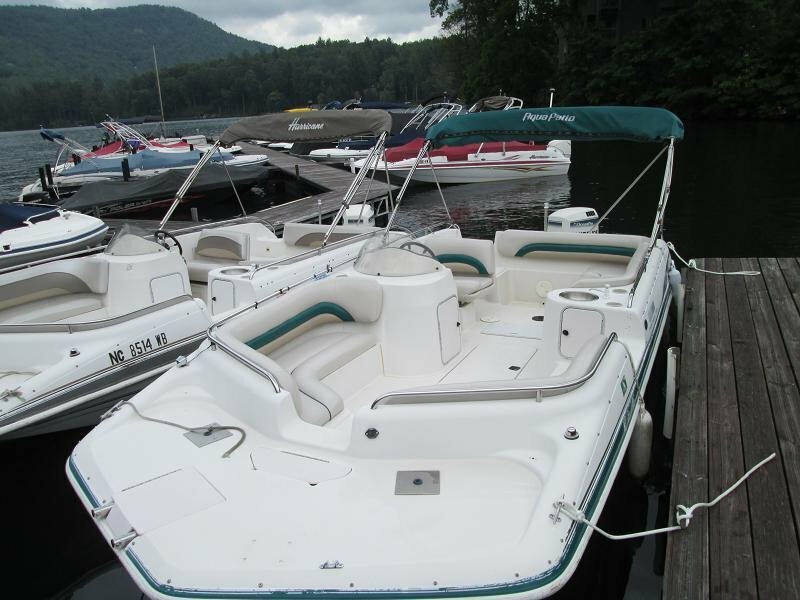 You are located directly on the center of Lake Toxaway, the largest private lake in North Carolina. 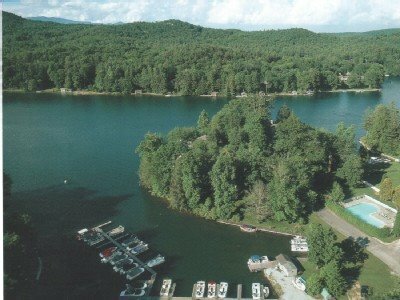 The lake area is 640 acres and elevation is 3,010 feet. 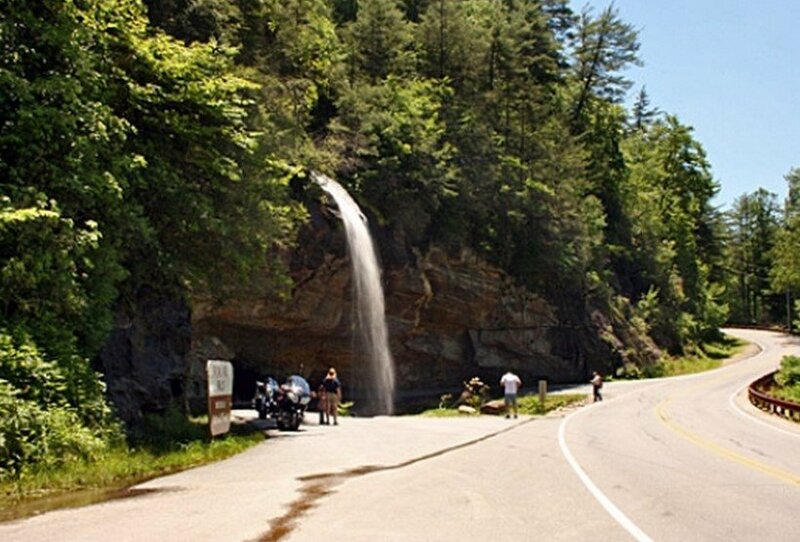 Lake Toxaway is situated in Transylvania County, the county with more water falls than any other county in the United Sates. 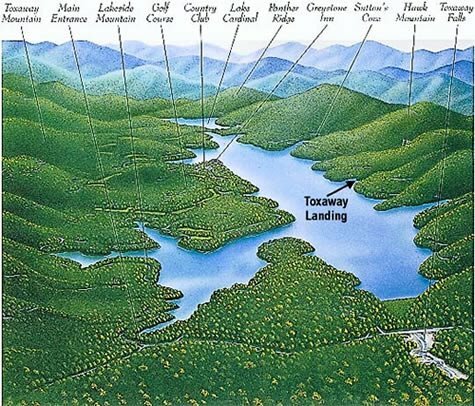 Lake Toxaway is located between Highlands and Brevard (near Cashiers, NC), about 45 minutes from the Asheville (home of the Biltmore House) International Airport. 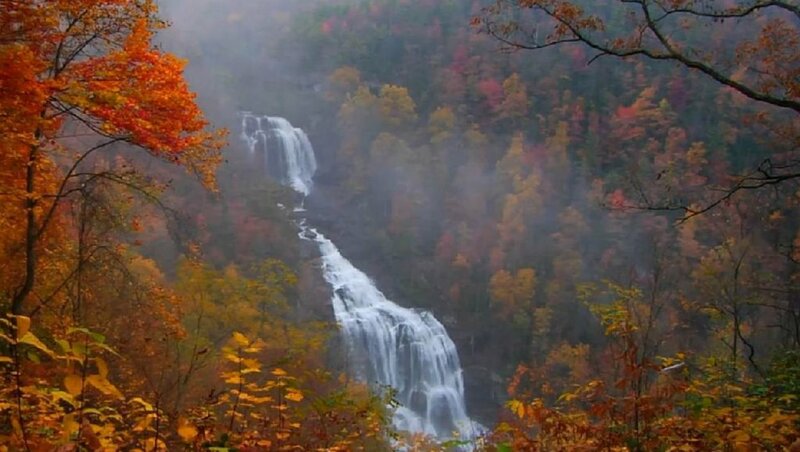 The home is situated 14 miles north of Whitewater Falls, the tallest waterfall in the eastern United States. 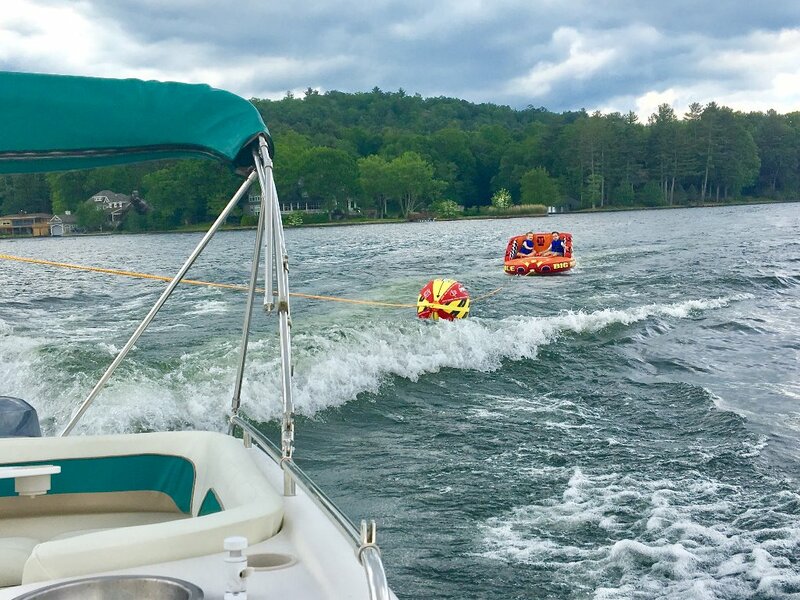 Lake Toxaway’s elevation provides mild year around weather, making it ideal for hiking, swimming, fishing, boating, canoeing, kayaking, sailing, and water-skiing. 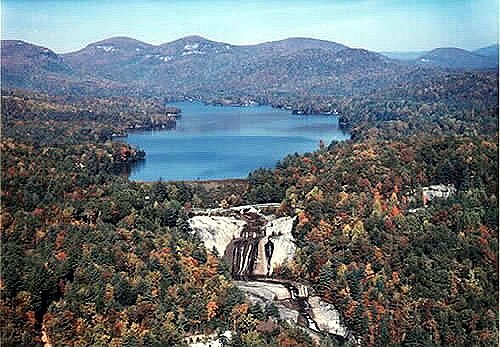 The 640-acre Lake Toxaway the TEMPERATURES SELDOM EXCEED 82°. 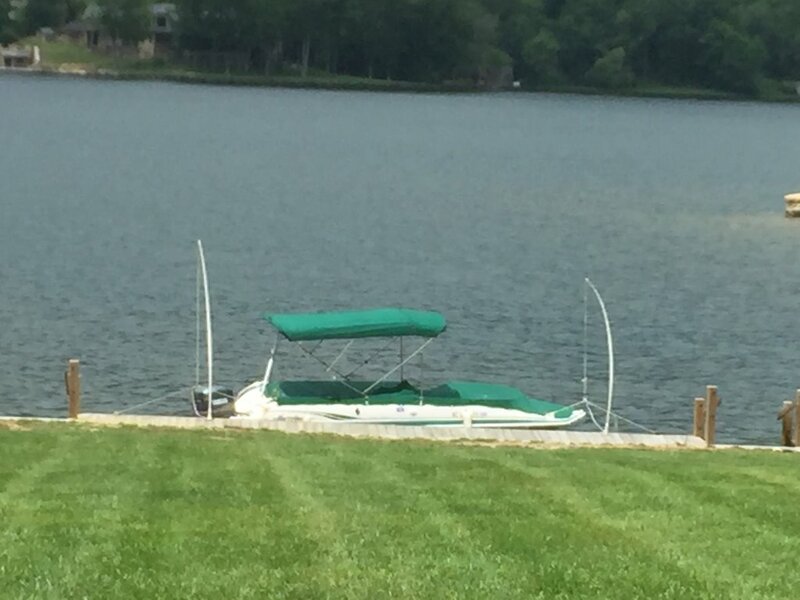 Imagine relaxing in a private balcony, your living room or outside on your own private boat dock in front of the lake house. 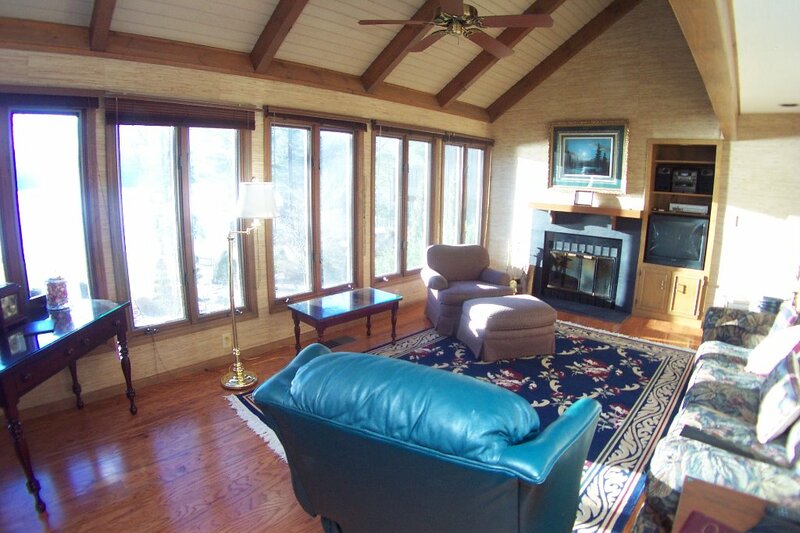 The lake house deck, the three sitting room, the great room and dock all having impeccable views of Lake Toxaway. 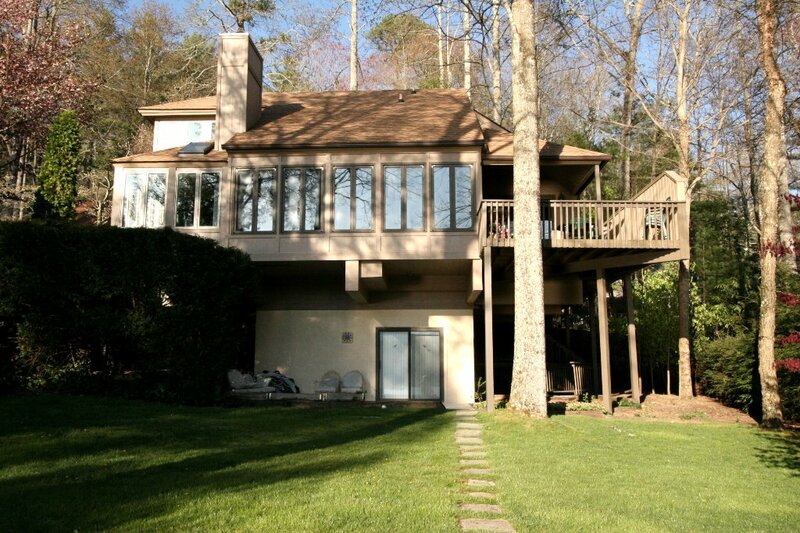 The lake house is designed to accommodate, luxuriously four couples and two children and also babies. Our maximum accommodation is 10 adults. 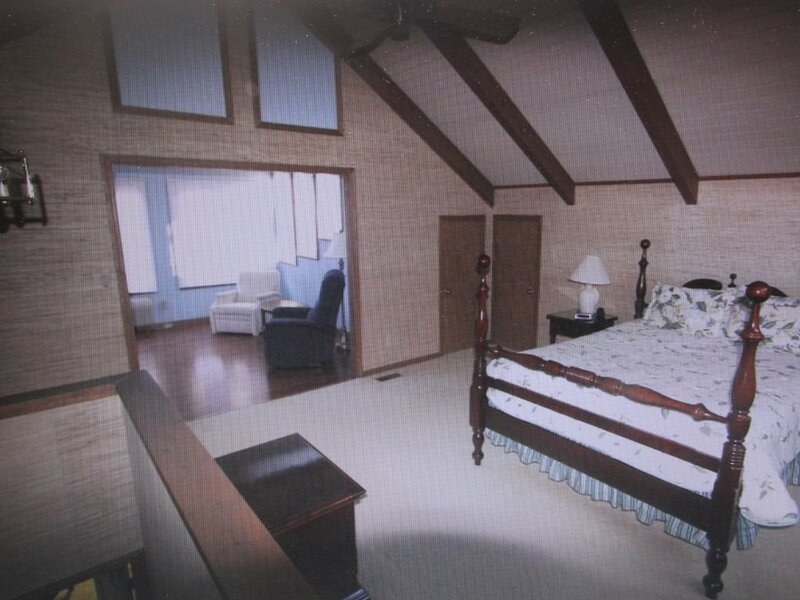 You have four large bedroom suites, each with sitting areas, all situated in the house SECLUDED FOR PRIVACY FOR EACH BEDROOM SUITE. 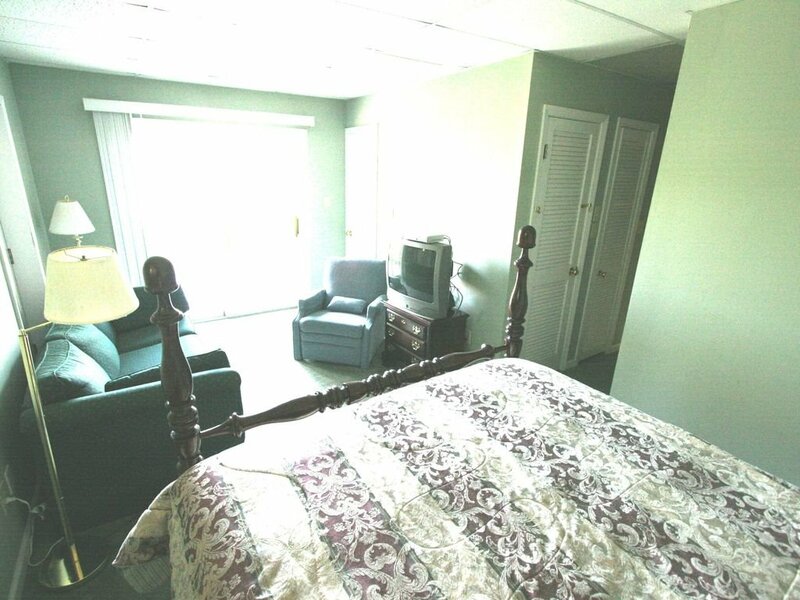 The four bedroom suites varies in size from 250 square feet to 400 square feet and all have televisions with Direct TV hookups and three of the suites have LED flat TV screens. 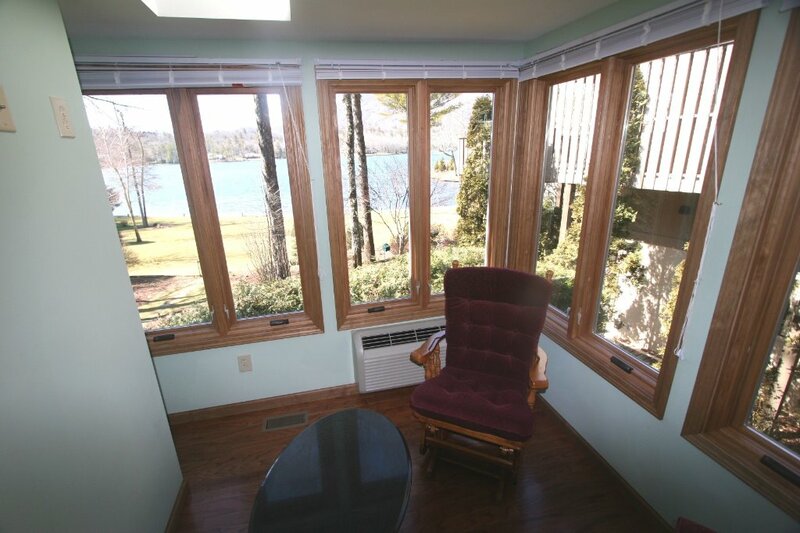 Three of the four bedroom suites have spectacular views of Lake Toxaway and one has a view of our neighbor’s water stream with water wheel. 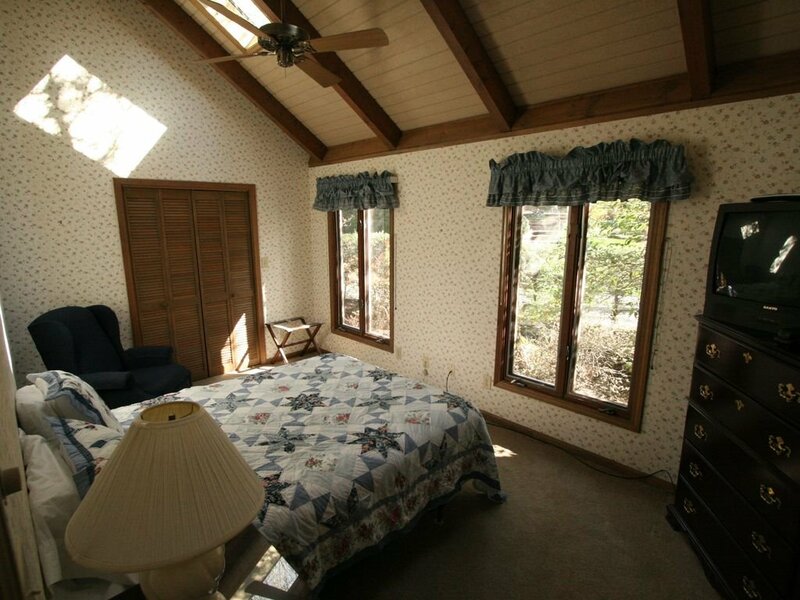 Then master suite has a private room for children and/or babies. 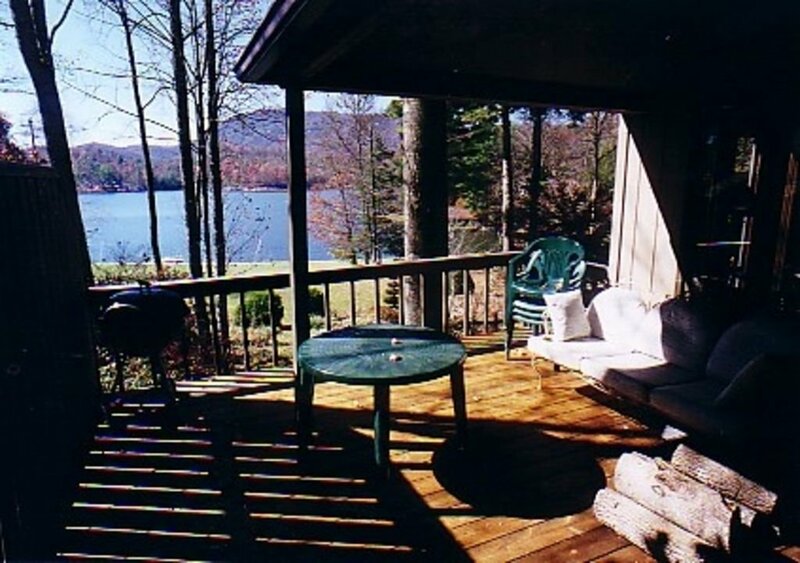 All bathrooms are equipped with luxurious towels and all the amenities of a luxury hotels. .
Lake Activities: At the Lake Toxaway Lakefront Mountain Retreat you can enjoy swimming, sun bathing, kayaking, fishing (with proper license). 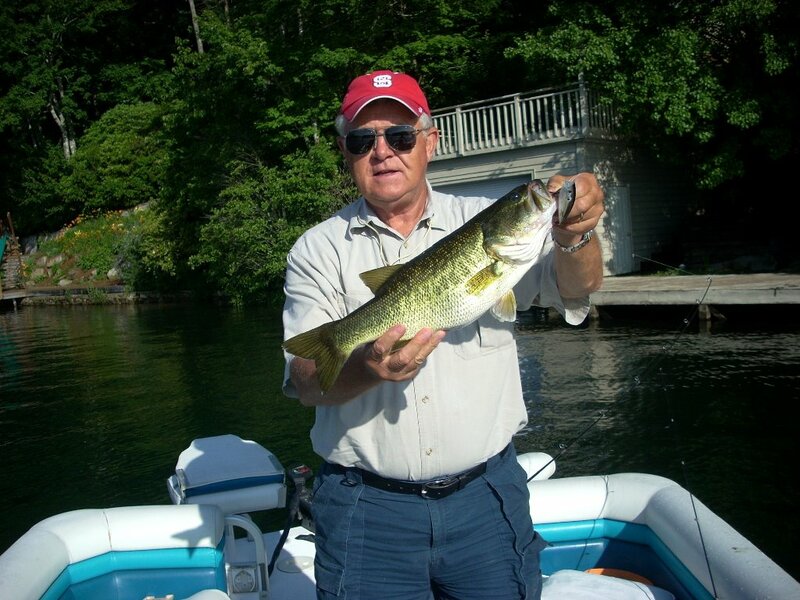 The lake is well stocked with bass, walleye and trout. 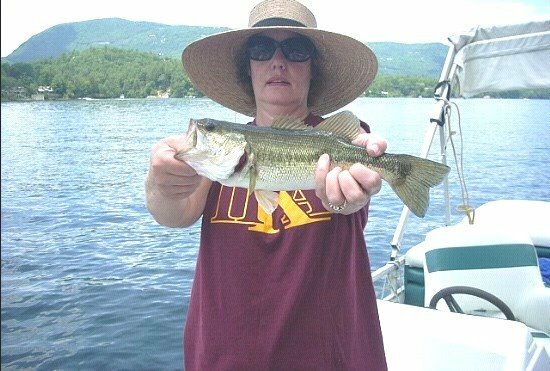 The lake is all fresh water, fed by numerous mountain streams, and is always refreshing! 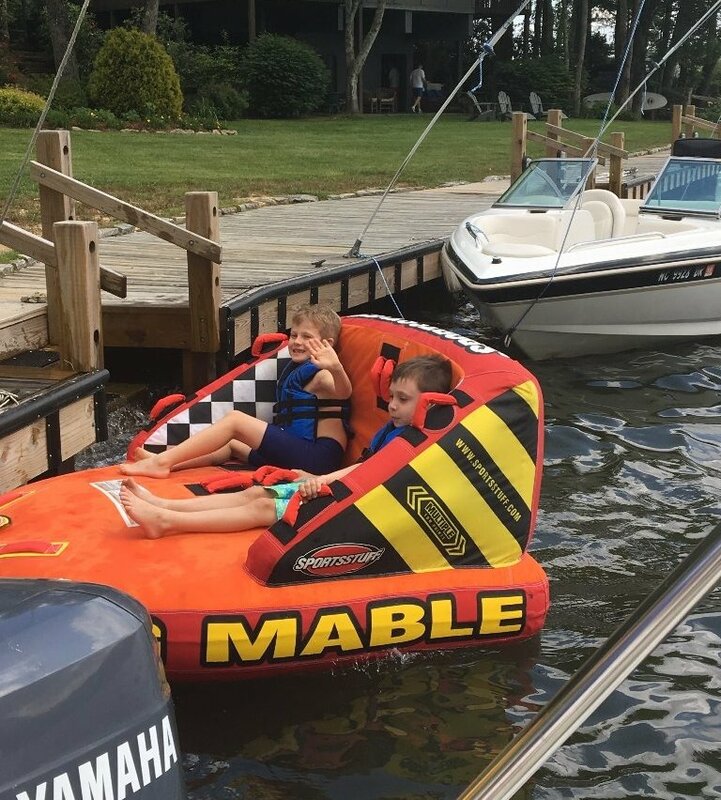 We have a spacious, gently sloping ¾ acre rolling lot going right to our private dock with a 20-foot deck boat you can rent on a minimum 3 day daily or weekly basis. 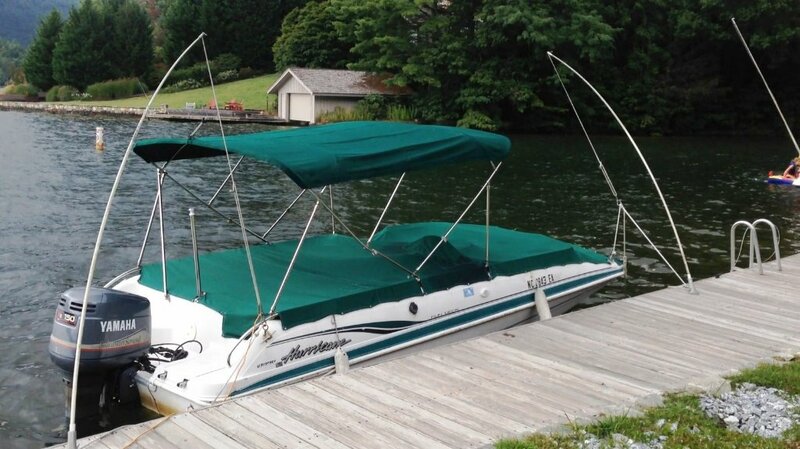 The boat capacity is nine people and adult life jackets are included. 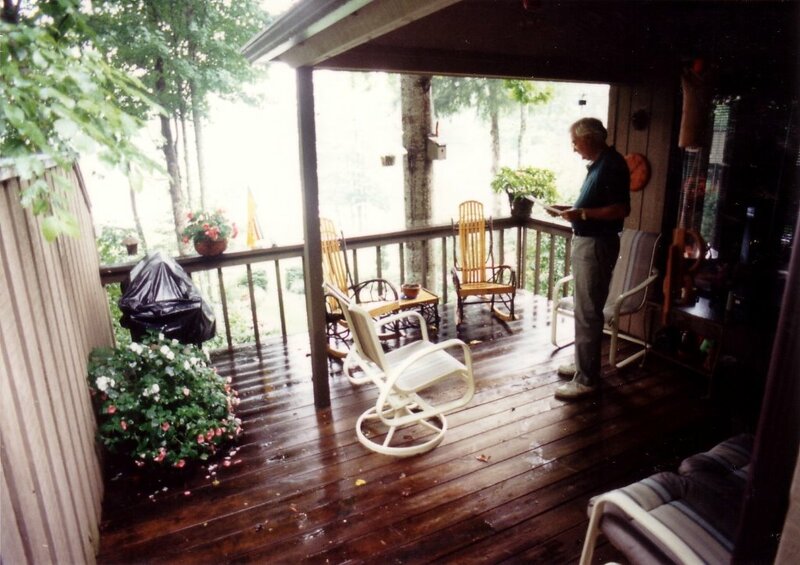 The owner provides a PDF files and a Drop Box invitation with MP4 movie files and web links about nearby restaurants, craft and antique shops, numerous hiking trails, waterfalls, horseback riding stables, white-water rafting and information about snow skiing. Several dozen fine restaurants, located within 15-30 minutes driving distance of the lake front mountain retreat are described with full information in this PDF file that is provided by the renter's owner. 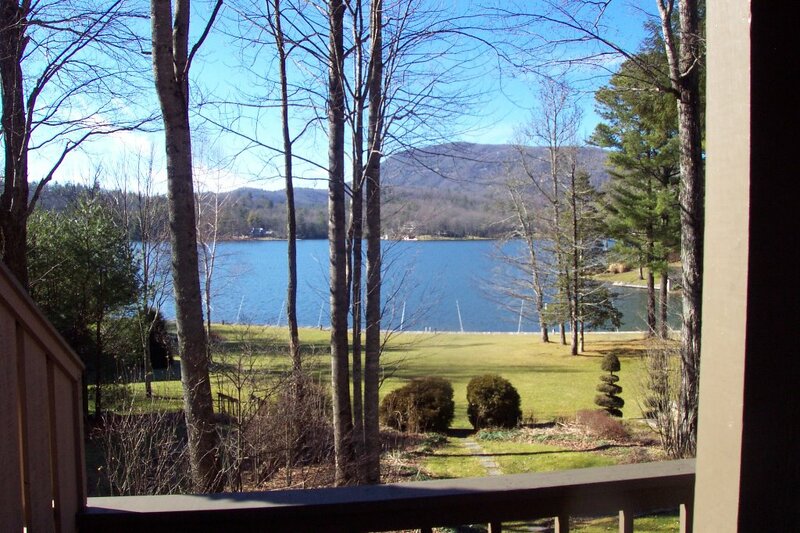 Families have been drawn to the dramatic mountain views and crystal clear waters of Lake Toxaway for years. 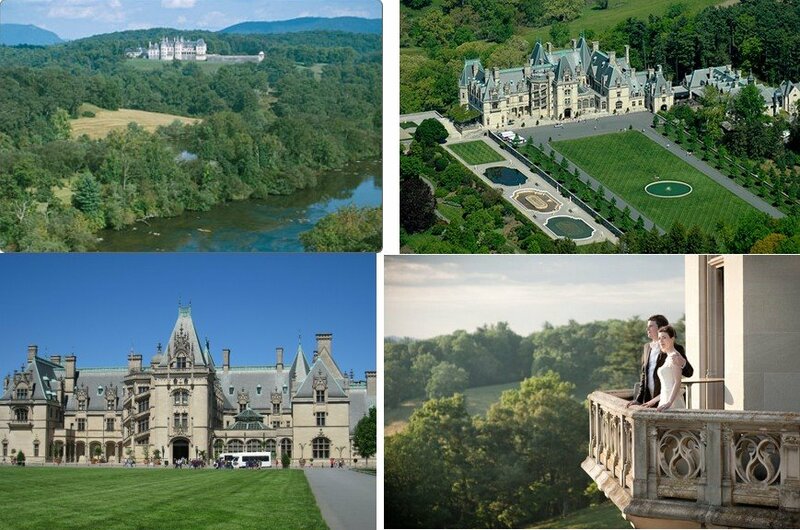 In the early 1900s famous names like Henry Ford, Thomas Edison and Harvey Firestone could be found in the registers of local hotels and country clubs at Toxaway. 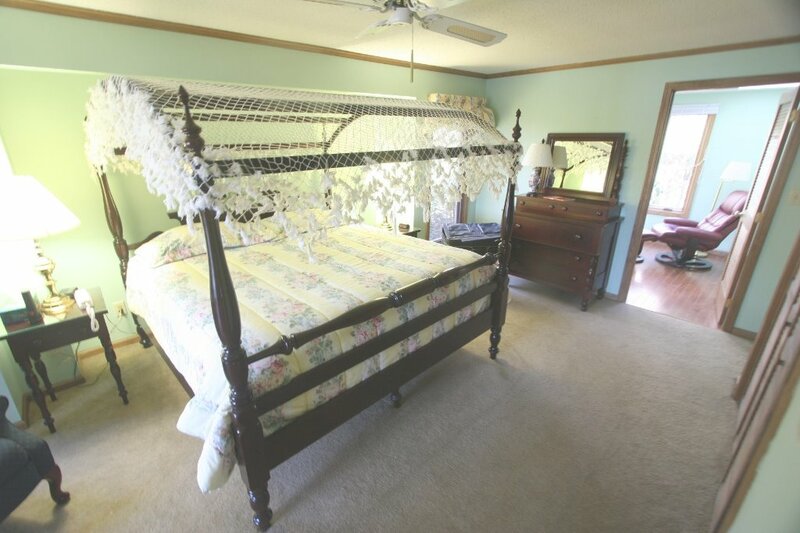 Other Amenities: The laundry room offers a washer, dryer, ironing board, iron, and vacuum cleaner. The kitchen includes a full-size refrigerator, dishwasher, microwave, stove/oven, drip coffee maker, toaster, blender, eight settings of silverware and dinnerware, basic cooking spices, plus all the gadgets and utensils you need (corkscrew included). 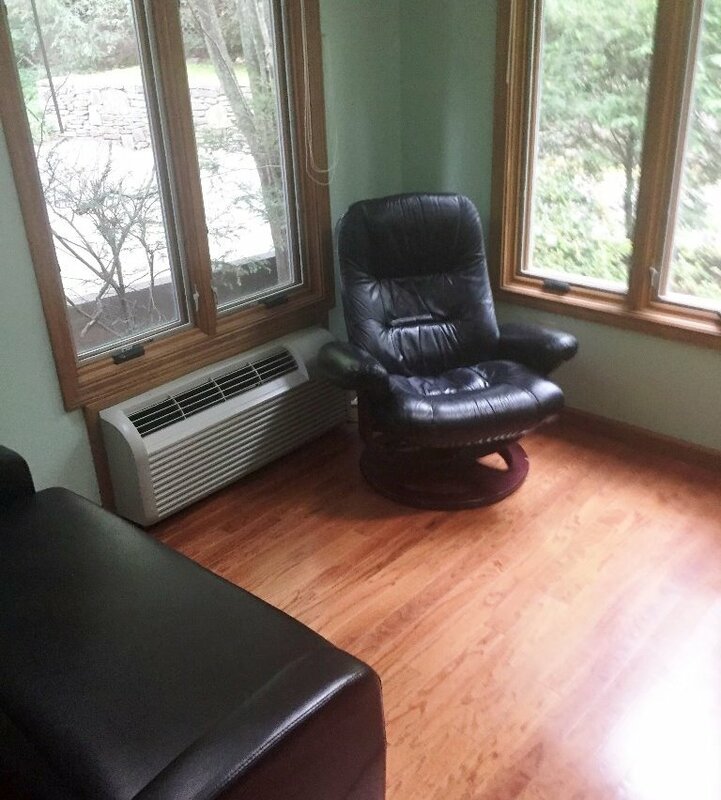 There is a large heating fireplace along with owner-provided wood. Our game shelf includes numerous games, and our video shelf contains over thirty videos of both recent, classic and older movies. 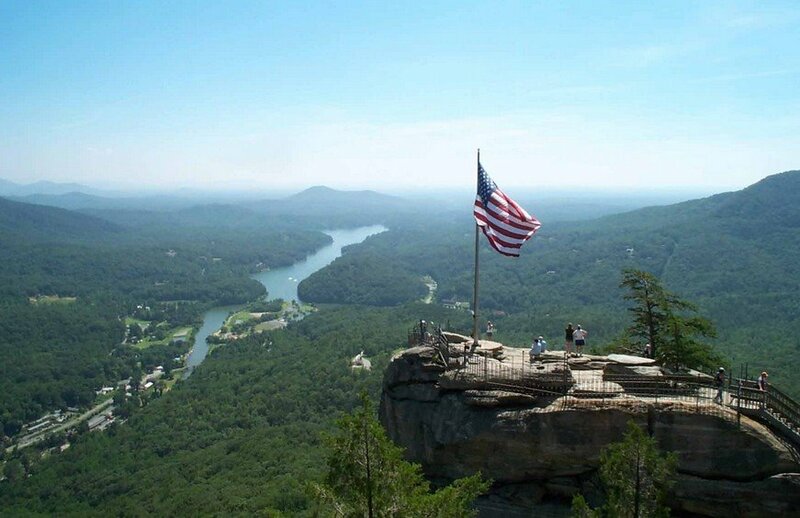 Golf: Go golfing at the world-renowned High Hampton Country Club or Sapphire Mountain Golf Club – both 15 miles west in Cashiers North Carolina. 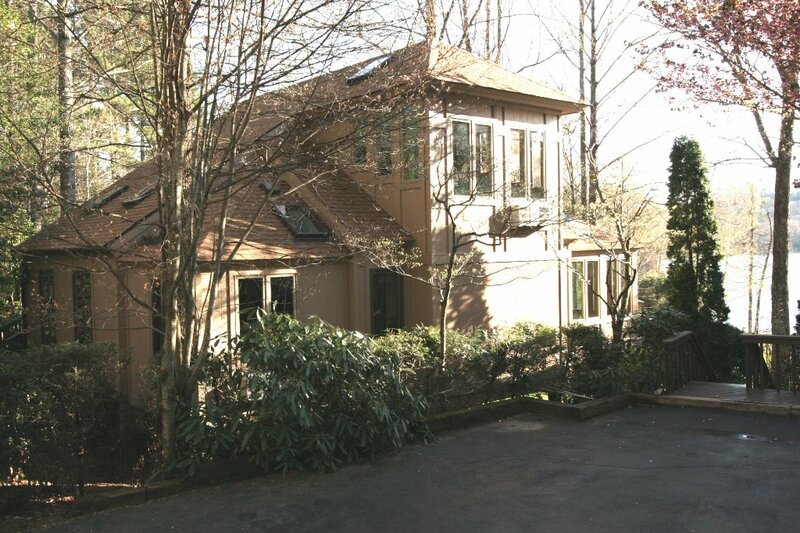 Lake Toxaway Country Club IS NOT available to renters of this property. 60 inch HDTV LED in great room. There are more than 33 HD channels. TV hookup in all 4 bedrooms. 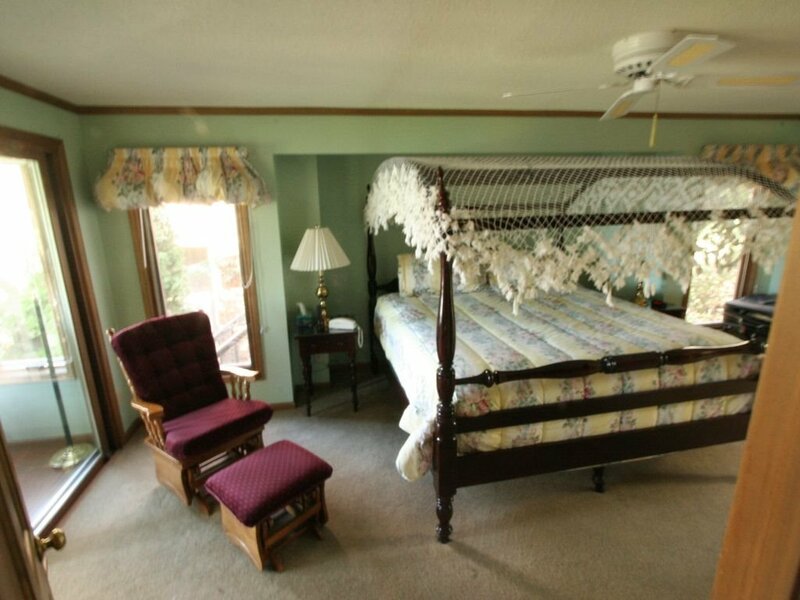 Three bedroom s have Flat Screen TV;s. The lower level bedroom suite has a Jacuzzi bath. Nearby stores include: Ingles (they offers video rentals), BI-LO, Food Lion, and Winn Dixie supermarkets, Wal-Mart, K-Mart, a CVS drugstore and a shopping center just 16 miles away in Brevard. 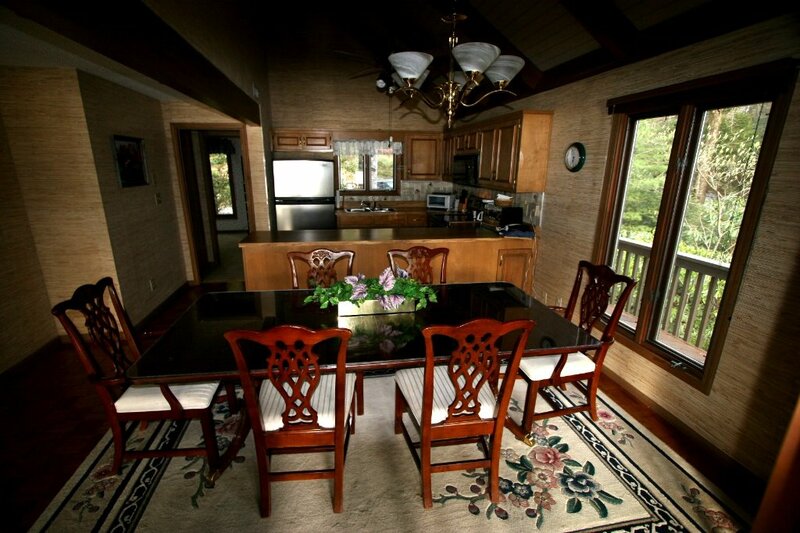 To assure your reservation, please reserve our spectacular lake front mountain retreat today. 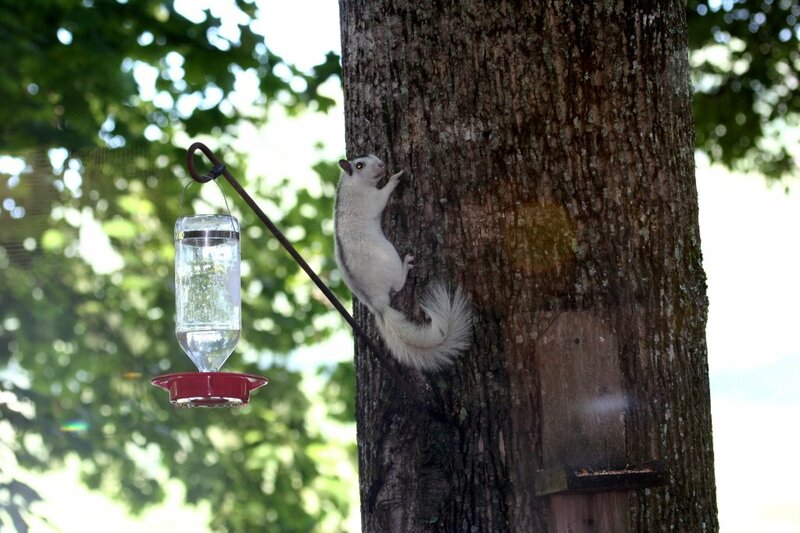 Owner provides a turn by turn PDF file with detailed instructions and pictures of final turns.